"It’s not fair," the singer said, breaking down on camera. 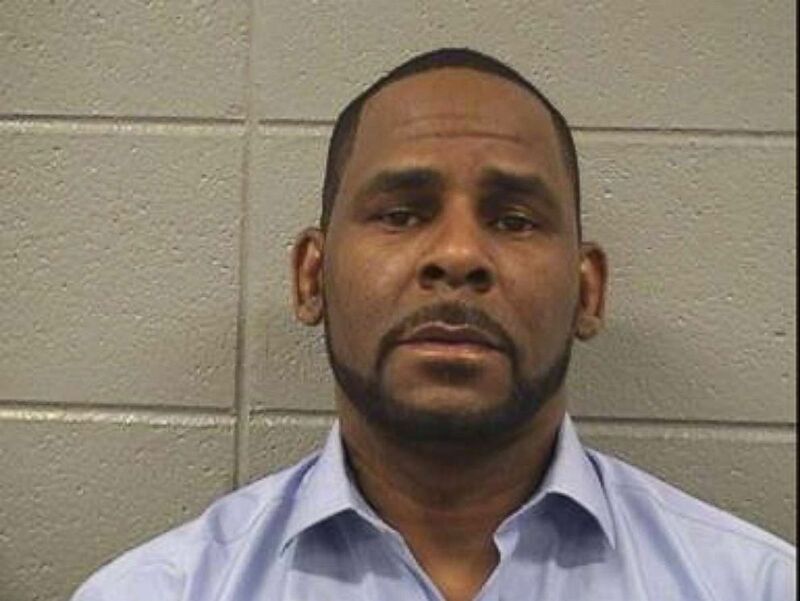 (Cook County Sheriff's Office/Reuters) Singer Robert Kelly, known as R. Kelly, is pictured in Chicago, March 6, 2019. "It's not fair. It's not fair to nobody. When you beat your case, you beat your case," the singer says in the clip released by the network. But King pushes Kelly, saying the new charges he's facing involves new women and claims, whether they are from the past or not. In response, the singer says their claims are "not true." The allegations and charges against Kelly have come after the network Lifetime aired its special "Surviving R. Kelly," a docuseries about the decades' worth of misconduct allegations against the singer. "Whether they're old rumors, new rumors, future rumors, not true," he adds. When asked if he held any women against their will, Kelly said, making a point to speak directly to the camera, "How stupid would it be for R. Kelly, with all I have been through in my way, way past to hold somebody. Let alone 4, 5, 6, 50 you said -- how stupid would I be to do that?" According to the Cook County Prosecutor's Office, which charged Kelly last month, three of the four accusers were younger than 17 at the time of the alleged incidents. When Kelly was charged at the end of February, the singer's lawyer, Steve Greenberg, said he believes all the alleged victims "are lying" about his client. Kelly continued to claim his innocence to CBS, breaking down in the process. "I need to be a monster and hold girls against their will, chain them up in my basement and don’t let them eat and don’t let them out ... Stop it," he said. "Y’all quit playin. Quit playin. I didn’t do this stuff. This is not me y’all. I’m fighting for my f----- life." But King continued to press Kelly, sometimes saying she finds it hard to believe the singer is innocent, explaining to him that "we are in a different time, where women are speaking out," referencing #MeToo and other powerful movements as to why some allegations are coming out now from his past. "Now women feel safe saying these things about you," she added. "I love women. I love all women. I love everybody. But the thing is, is that these stories on Lifetime they’re very bogus. And they’re not true. Absolutely not true," he added.